It is very likely that you have more than one cloud drive to save all contents, such as photos, videos, music, documents or anything else that you cherished. 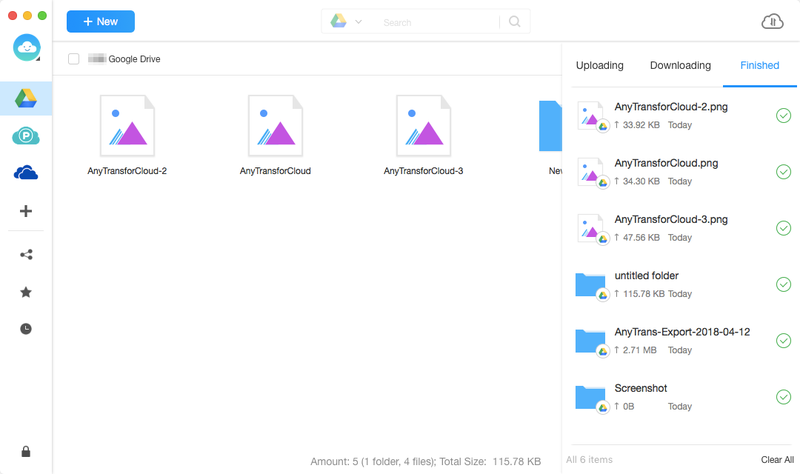 Uploading different kinds of files to multiple cloud drives is a time-wasting process. 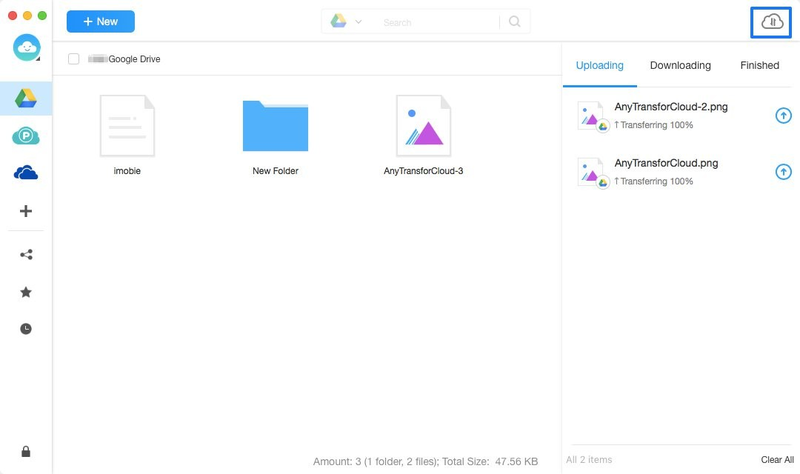 With AnyTrans, you can upload desired files or folders across multiple cloud drives in an easy way. Please refer to the detailed guide to make full use of AnyTrans. If you have registered account already, you can sign in with account name and password directly. If you don’t have one, please click “Create yours now” option to sign up a free account. 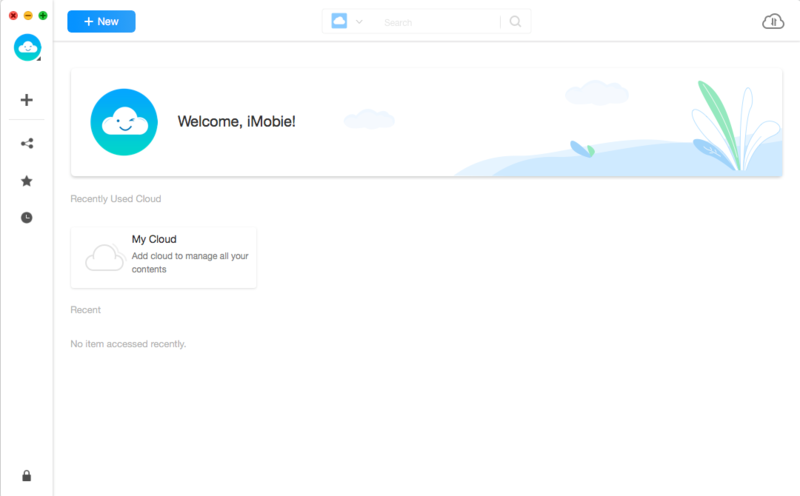 Once you sign in AnyTrans successfully, you will see the main interface of AnyTrans. 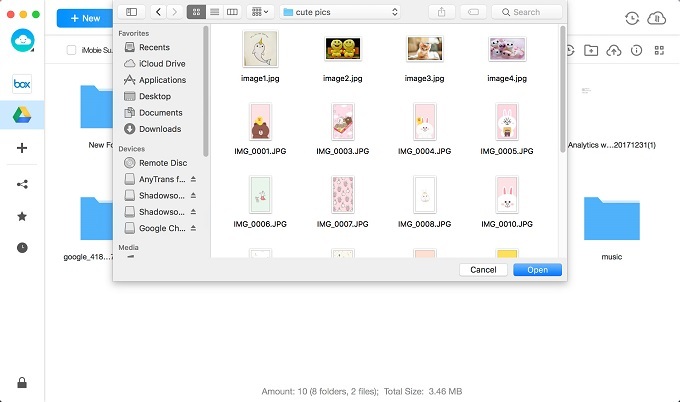 When you click Google Drive (Take Google Drive for an example), you will view all contents located in your cloud drive. Once you click the button. The interface below will pop up. After that, you can select contents to upload to your Google Drive. It is necessary to add at least one cloud drive so that you can manage the data in it. 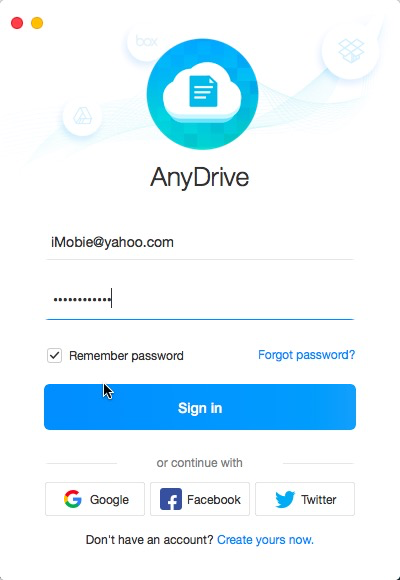 If you have not added any cloud drives before, please follow the instructions to Add Cloud at first. The time to upload contents varies based on the size of your contents. Please keep patient. You can check the uploading process by clicking button. To stop the uploading process, please click “Stop” option on the right corner of the page. If you want to remove the task, please click “Clear All” option. Once the uploading process completes, you can click button to check the uploaded items under “Finished” option. To clear all the finished history, please click “Clear All” option.